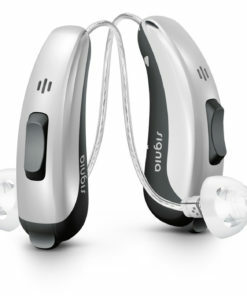 A hearing aid or deaf aid is an electroacoustic device which is designed to amplify sound for the wearer, usually with the aim of making speech more intelligible, and to correct impaired hearing as measured by audiometry. In the United States, Hearing aids are considered medical devices and are regulated by the Food and Drug Administration (FDA). Ordinary small audio amplifiers or other plain sound reinforcing systems cannot be sold as “hearing aids”.